Seize the Moment. Be Critical. Be Involved. Be Heard. The recent murder of a 26 year old Filipino transgender woman named Jennifer Laude by a U.S. Marine once again ignited public protest and renewed a call for wider recognition and better protection of the rights of lesbians, gays, bisexuals, trans-genders and queers in the Philippines. I wrote this article not to get into the nitty-gritty of the case but to simply share these important facts about LGBTQ and Hate Crime for the information of everyone. This is a product of online research and not solely of my opinion. But I strongly believe that sharing these Ten Facts that People should know about LGBTQ and Hate Crime can contribute to further promote and protect human rights. #1 According to 2011 study of the United Nations, LGBTQ people are becoming increasingly vulnerable to crimes because of their sexual orientation and gender identity (SOGI). This first ever United Nations report on the human rights of LGBTQ people provides details on how around the world people are continuously being discriminated and have endured hate-motivated violence, because of their real or perceived sexual orientation or gender identity. The report identifies homophobia, biphobia and transphobia as the major motivations for hate crimes against LGBT people. #2 Still, 76 plus countries around the world considered homosexuality illegal. According to the International Lesbian, Gay, Bisexual, Trans and Intersex Association (ILGA), there are at least 99 people around the world who are currently in prison for allegedly violating laws that punish those who are born gay, lesbian or bisexual. While at least 148 other people are awaiting trial on charges related to homosexuality. #3 As a response to this alarming global gender situation, the United Nations Human Rights Council has passed this year a landmark resolution condemning violence and discrimination against LGBTQ people. The resolution states that the world needs to take a fundamental step forward by reaffirming one of the Human Rights’ key principles – that is everyone is equal in dignity and rights. It encourages all UN states-members to take necessary legal, legislative and judicial measures to address human rights violations against LGBTQ. Pope Francis reiterated this call on the Church during the Catholic Synod or the meeting of All Bishops to tackle a number of controversial issues facing the Catholic Church, including how to respond to changing families and how to better communicate Catholic doctrine. Pope Francis’s famous “Who am I to judge?” position has made him the “Man of the Year 2014” for LGBTQ. #5 The United States of America is one of the countries that recognizes and addresses the issue of Hate Crimes. President Barack Obama signed in 2009 the Matthew Shepard and James Byrd, Jr. Hate Crimes Prevention Act, which expands the existing United States federal hate crime law to gender, sexual orientation, gender identity or disability. In fact, the first hate crime laws in the United States were passed after the American Civil War, beginning with the Civil Rights Act of 1871, to combat the growing number of racially motivated crimes. #6 In the Philippines, a study backed by the UN has found that LGBTQ people have become more accepted in the Philippines. The Filipino public seems to take a rather an open and tolerable view of the gay community, at least judging from popular media and the widespread use of gay lingo. But according to Ladlad, one of the LGBTQ groups in the Philippines. discrimination against LGBTQ still persists and they are becoming increasingly vulnerable to hate crimes. The UN study found hate crimes remained a big threat among the LGBTQ community in the Philippines. 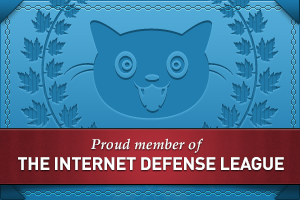 It cited that there were at least 28 LGBT people reportedly killed in the first half of 2011. #7 The Commission on Human Rights performs a function of a Gender Ombud. The Commission on Human Rights (CHR) announced in 2013 that the Commission will look into cases of hate crimes against Lesbians, Gays, Bisexuals, and Transgenders (LGBTs) across the country which hopefully lead to a better prosecution and investigation of hate crimes. #8 Hate Crime is not yet a distinct crime in the Philippines. LGBTQ groups claimed that violence against LGBTQ people is not treated as a hate crime. There is no specific mechanism that helps identify hate crime victims or makes use of the sexual orientation and gender identity of the person as the aggravating circumstance for the commission of the crime. It is not even investigated as such and just merely considered as a common crime against any person and/ or property. LGBTQ groups lament the absence of an anti-Hate Crime law in the Philippines. The fact that there are no basic figures and statistics on Hate Crimes shows that the government has not considered as such in past years. #9 Just recently, Sen. Bam Aquino filed the Senate Bill No. 2122 or the Anti-Discrimination Act of 2014, which seeks to combat discrimination of any forms. The bill seeks to prohibit and penalize discrimination on the basis of ethnicity, race, religion or belief, gender, sexual orientation, civil status, HIV status and other medical condition, among others. Among the acts that will be prohibited are inflicting stigma; denial of political civil, and cultural rights; denial of right to education such as refusal to admit or expulsion and imposition of sanctions or penalties; denial of right to work; denial of access to goods and services; denial of right to organize; inflicting hard on health and well-being; engaging in profiling; abuses by state and non-state actors; and detention and confinement. Under the bill, any act of discrimination shall be fined from P100,000 to P500,000 and an imprisonment of up to 12 years. A similar bill was filed by Rep. Teddy Casino of Bayan Muna, last June 26 which aimed to pioneer a House probe on the growing numbers of hate crimes in the country. 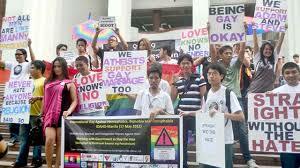 #10 Quezon City, Philippines’ largest city has approved ordinance that bans anti-gay discrimination. The ordinance is the first of its kind in the Philippines. It expands the 2003 City Resolution which only centered on discrimination of homosexuals in terms of employment. The new city-wide ordinance makes it mandatory to educate employers and educators around the city on the rights of LGBTQ. It prohibits and provides sanctions on any violations of LGBTQ’s rights on equal access to job opportunities, delivery of goods or services, insurance, and accommodation in Quezon City. Under the new ordinance, establishments will be directed to designate a comfort room that can be used by all genders, regardless of sexual orientation and gender identity or expression. While immediate focus should be on resolving the significant rise of alleged Hate Crime, much attention should also be given to any forms of discrimination against LGBTQ community. Though, crime prevention is primary a government’s responsibility, prevention of any forms of discrimination is everyone’s business. It is about time for all of us to get out of the jury box with all our biases and prejudices. It must begin from us. For all we know recognition comes respect and respect begets responsibility which entails accountability. [Reflection] What should be in PNoy’s Bucket List? ...something to validate my existence. I will never turn my back to what I believe In. No matter what?